Tamron has its three newly-announced full frame lenses on show at CP+ in Yokohama. It's a slight odd setup, though. You can look at the lenses in a glass cabinet or you can handle rather more rudimentary samples, with no marking on their switches and their names stick on with labelling tape. Thankfully we were able to convince Tamron to let us photograph the more complete versions. To everyone asking: 'Why are they making new lenses for DSLR's and not for the new mirrorless mounts? Why do new gas stations still install gas pumps and not just electric charging units. Because there are still millions of DSLR and Gas powered cars being used. Why are they making new lenses for obsolete dying mounts? Why not for the new mirrorless months? Because those mounts are NOT "obsolete" OR "dying." If we are talking full frame lenses, yes... They are bigger, heavier and more expensive too. Have you seen the Canon full frame 40mm pancake? My rangefinder lenses are small and for full frame too. Sorry but there is no such thing as a “Sony 35mm pancake in FE mount” you are confusing Sony E aps with sony FE full frame. Zebebito what? I’ve got the samyang 35mm f2.8 for my full frame Sony a7iii and it weights just 85g. It’s a tiny pancake and works great on full frame. 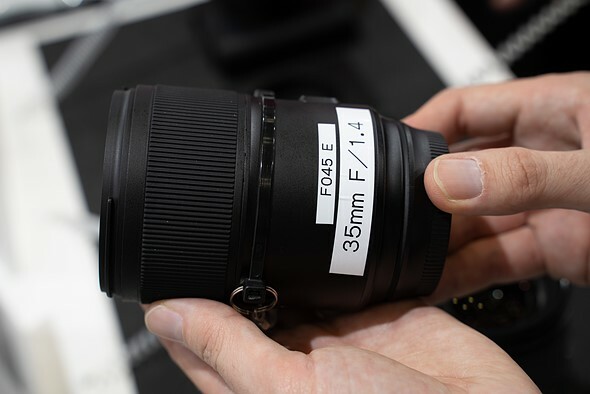 The Sony Zeiss 35mm f2.8 is another full frame pancake for Sony! Agree, you guys are correct. There is also the manual focus Loxia. I should have mention I was thinking in the elusive f1.8 or f2 “budget friendly” 35mm that many of us are waiting for years now. Mammolo02 Hits it right in my book. All the manufacturers are out for bragging rights with ultra fast lenses (f/1.4) but who needs the size and weight? I'm a professional full time photographer of forty plus years and I know a handful of professionals who actually shoot at f/1.4 for the shallow depth of field, etc. Most people who buy an f/1.4 lens rarely shoot at max aperture, and every single one of them, except Zeiss APOs maybe, have longitudinal chromatic aberration at full aperture. Give me smaller, gem-like f/2 or even f/2.8 in prime focal lengths and I would be thrilled. But the choice is fast, big and heavy for quality, or plasticky and mediocre for lighter and heavier. Sony's 24-105/4 is an excellent travel lens both from the range and from quality points of view. It is also very handy, light and quick in respsonse. In my vast experience of using it, I usually supplement it with a wider aperture lens ( F2 or wider) and the two makes an excellent combination. The only shortcoming is at the longer side. If Tamy can reach 150mm, that is pretty much adequate for most if not all travel needs. After I have used a Nikon mount Tamy 24-70/2.8 with extremely satisfactory result, the new Tamys quality is excellent (and I don't need to consider the very expensive Nikon version any more). Well done Tamy though a 28-150 would be even more perfect and I won't be too demanding to ask for 24-150, though it would be more than perfect if you can do so. Hope it can be available with E mount soon. I think Pentax and Tamron should take their collaboration a step further... More K-mount lenses please!!! Give them HD coatings and charge me an extra 200 bucks if you have to! The 35-150 sounds like a very practical everyday / travel lens, combined with a wide-angle zoom (15-30 ro 16-35mm). well... the key is "combined with" which already reduces that "practicality" a lot. I like this range a lot, however for a "very practical everyday / travel lens" a 24-105/F4 lens is the better choice by a huge margin. For a single lens, i prefer the 24-70/2.8 to the 24-105, for its indoors and nighttime capabilities, giving up some zoom range. I used to have an old 35-135 Nikkor AF (original AF). I really liked the range, but it was not only slow (f3.5-5.6), it was only mediocre in quality. I got rid of it before buying an FX body, so the long side was convenient on DX. This would be a good, basic lens for use on my D800, and would double as a pretty good 225mm in DX crop mode. I love my 70-200 VR2, but half the weight would also be nice, too. Why not in Sony FE mount? Because you can adapt Canon mount lenses to Sony FE cameras, but not vice versa. I have q Commlite adaptor for both my Canon 40mm pancake and the 50 1.4 and it works pretty well, but I rather have a native 35 1.8, with the same built and cost as the Sony 28mm f2. Well, I agree, it is more convenient to have a "built-in adapter" on each lens and not bother with an unnecessary piece of equipment that costs extra money. But, from the manufacturers point of view, making a more universal lens that can be used on multiple mounts, would bring more profit, than making a different lens for each mount (Canon EF, Canon RF, Nikon F, Nikon Z, Sony E), some of which may not sell well at all. Which is why I think that all FF mirrorless systems should share the same lens mount in the first place. All this camera-nazism is getting annoying. It's like if each brand electronics would require a special power socket design, incompatible with other brands. How stupid would that be? And yet when it comes to cameras, we consider it to be normal. Why they expect us to buy the whole bunch of native lenses along with a camera body? The only difference a mount segregation makes is that they will sell less lenses, than they could have otherwise. I was told that 35mm will NOT have ANY focusing problems. Not a joke. i like the portrait zoom idea. Can Dpreview use their same influence to nudge Tamron into fixing the FTZ compatibility issue. As Nikon does not support 3rd party lenses for that, this takes a lot of engineering. Tamron has mentioned that their new lenses will adapt properly. Older lenses will likely need firmware updates through their USB dock or by Tamron themselves. I think it's interesting how many folks fuss about Canon and Nikon and the lack of announced native 3rd party lenses because it took YEARS with an open mount before Tamron finally came out with the 28-75, and Sigma with the MC-11 (and then yet longer for the native E-mount lenses). Sure, it'd be nice for me (with my Z6) to be able to get that Tamron 17-28 but I knew that going into the purchase I'd have to use F-mount glass. Please make a FE 35 1.8 for Sony for $600-800. This lens is long overdue. I would be interested in 35/1.4 as long it is not bigger, not more expensive and not worse optically than Sigma ART one. 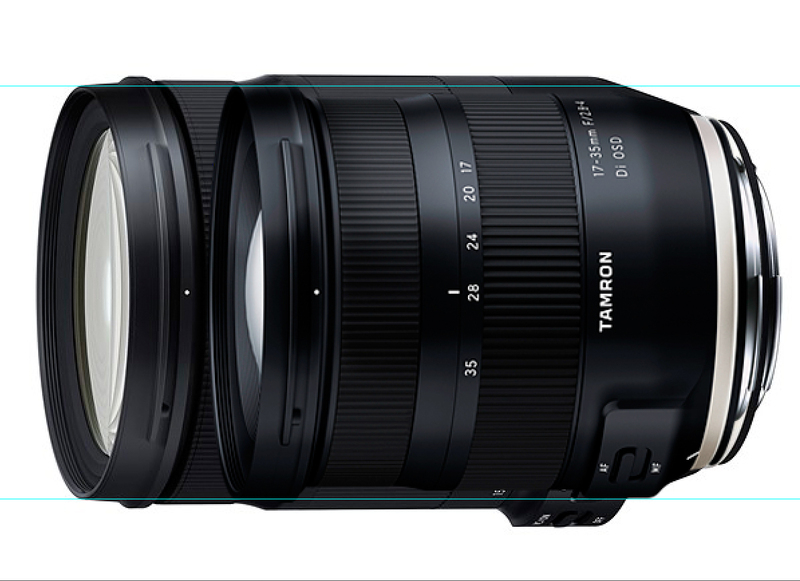 Tamron, could you do a 45-150/2.8 for APS-c, but do it right? Sigma had the right idea with their very compact 50-150/2.8 (I and II) but they blew it with the next iteration, 50-150 OS, which was the size of their 70-200/2.8. I would really love to see a new fast tele dedicated for APS-c. It would have to be an f2 lens to get the same depth of field. Just buy a full-frame camera and a 70-200 f/2.8 in addition to your APS-C body. Pop the 70-200 on the FF, and you have your 45-135mm with great bokeh. Throw it on the crop sensor and you've got a kickass sports / wildlife setup. Best of both worlds, and you don't have to wait for brand x to release a unicorn lens. Who still buy lenses for a DSLR? People who own a DSLR, I guess? People who need gear now. The mirror-less lens lineup for Canon and Nikon is pathetic. Let em buy. In 2 years I buy it for cheap on ebay and adapt to my mirrorless camera. The dinosauriers did`t know eather. Remember that the 'mirrorless' lineups from Canon and Nikon include their DSLR lenses- in the case of Nikon there are some limitations, but there are none for Canon. IdM photography: Why do new gas stations still install gas pumps and not just electric charging units. Because there are still millions of Gas powered cars being used. There are 100 million plus DSLR's in use and 10 or 20 thousand of Canon's and Nikon's new ML bodies. There are still going to be millions of DSLR's sold over the next 5+ years and millions of lenses for them. Yes ML is here to stay, but until they have 2 lenses ML kits for less than $750.00, many entry level people will buy the $500.00 2 lens DSLR kits. So Canon, Nikon, Sigma, Tamron, Tokina and others will continue to make lenses for DSLR cameras for the next 5 to 10 years. Unlike in your stupid analogy, DSLRs are in key ways better than MILCs, and as a result many actually prefer DSLRs. DSLRs don't limit my photography in any way, so why would I need a MILC? That 35-150 is an odd one. I think they may of used a similar focal length on some zooms back in the 70s & 80s. But not in recent memory. ‘They’ meaning a number of lens and camera manufactures, not just Tamron. They were Soligor in 1981 who marketed a 35-140mm f/3.5 macro zoom. Yes, I knew Tamron were called something else back then. Just couldn’t remember what. I suspect that 35-150 will come to f4 pretty quickly, like around 40-50 mm already . But OK still a very interesting concept . They would have made it 28-150 it'd been perfect . The 35-150mm is the perfect partner to 14-30mm? One on the D850 and the other on the Z7. Tamron used to offer a 35-105/2.8 constant aperture zoom in the last millenium and followed-up with a 28-105/2.8. Neither were particular popular. Back then every manufacturer made a 35-135/3.5-4.5 zoom. I am not optimistic the world needs yet another standard zoom, but it is refreshing to see something starting from 35 again after a couple of decades of hiatus. I would rather have 20-120mm F2.8. Tamron, are you listening? Very nice zoom range, but I'm waiting for an under-2k-dollar large sensor camera to come into the market. Fullframe is out of question for me. Either a 1-inch camera with a super bright lens, or a large format camera. The 35-150 the perfect name the Portrait Zoom. I will buy one as soon as it is out to use on my Z6. A one lens one camera portrait lens for outdoor portraits and weddings. Wish it was shipping now I would order today. Except one is for mirrorless while the other is for DSLRs. But the 17-28 2.8 will be a nice match to the popular 28-75 while the 35-150 will pair well with the 17-35 2.8-4. Fancy that 17-28/2.8 lens. Is there any indication when these come to market? I think I read somewhere summer 2019. The 17-28mm f/2.8, along with the 28-75mm f/2.8, are a big plus for Sony. Exactly what is missing for the EOS RP and a possibly upcoming Z5. I wonder if these lenses will convince Canon and Nikon to open their mirrorless mounts. They wont and it will take a long time to reverse engineer both Z and RF mount. Even Samyang having AF issue for E-mount by purchasing the license. This is why a lot of brands participating in E-mount. Well, L-mount will be next since 3 brands are united. Filter size of 35-150 looks like to be 77mm. The 35-150mm F2.8-4 zoom is really a portrait lens. From full body portraits to head-shots in good quality and with an enough fast aperture. I like it. Hope the AF motor is good enough. 35mm lens sized like a beer mug. totally ridiculous. I want em smaller, lighter, cheaper. 28-135 variable aperture ... not interested. I'd like to get a super compact, light, decent IQ, affordable RF 24-120/4.0 to go with an EOS RP. Canon RP 35 1.8 is a small and afordable lens that you're looking for. Then you don't want f/1.4 lenses, clearly. That's fine. I'm glad it exists even if I'm unlikely to buy it. Good luck with that. You should have gone Nikon. Cause canon does 24-105, while Nikon typically produces a 24-120. I love that Nikon 24-120 F4. It's the lens I keep on my camera 90% of the time. I used the Nikon 24-120 for a long time as my main portrait lens and loved it till I dropped it and broke it. I got another and sent it back as it was not as sharp at all. So i will buy the Tamron 35-150 that is an even better range for portraits. You'd rather have an f/4 lens than a f/2.8-4 lens (all else being equal) just because the latter is variable aperture? That seems crazy to me. It will depend on how sharp the Tamron compares. F2.8 is far more useful to me at the long end, where I most often want beautifully blurred backgrounds. Also, losing 24mm is no small matter. Unless the Tamron is significantly sharper or offers better bokeh, I see no reason to switch. So true. My hope was that Oly join the L mount and came out with compact light primes like in the old days. But no. yes, I'd rather take a cinstant f/4.0 lens over a variable f/2.8-4 one. 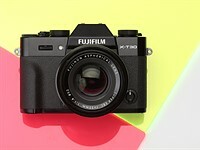 "All other things are not equal", because the f/4 could be made considerably smaller, lighter and less expensive. Which is as important to me as the constant aperture. I am not judging the lenses by themselves in isolation. they may be optically good and the focal lengths are up to the buyers' choice. That's not enough for me and probably many others. The big issue for me is that Tamron has been awfully quiet about their strategy for the new FF ML mounts. While there are lot of complaints that older lenses are not compatible, I don't know how many people want to buy these new DSLR lenses. To top it all, just sample copies? They obviously scrambled to get these to the event with taped labels. The only way they would have impressed was by putting working copies, on a Z or R camera with adapter. Even then, their life would be short lived because the future expectation is for smaller/lighter lenses for the ML mounts. You're aware that there needs to be a market for third party manufacturers to even remotely bother making lenses for it, right? The Z and RF mounts are newly patented and would need a fair bit of reverse engineering to make an AF lens (unlike Sony's mount which is mostly open) and I'm fairly certain that RF+Z bodies sold worldwide = <<<<<<<<<<<<<<<<<<<<<<<<< F+EF bodies sold worldwide. There's no reason for Tamron to risk wasting R&D on these new mounts right off the bat. And last I checked they have to do what's best financially for them, not what *you* would like :) just saying. Just use an adapter. You have to anyway if you're using a new FF ML mount. What are you babbling about? Taped label is ONLY in the first photo. The other eight photos of the lenses show each of them have the regular lens markings. No these are not rushed lenses. And Tamron has not been silent on their ML lenses. Their 28-75 lens in this line is one of the best selling mirrorless lenses out right now. Outselling even Sony's native lenses. Smaller and lighter???? That's what Tamron has put out with their 28-75. It pairs very well with any Sony mirrorless. It's weighs a little more than half what a 24-70 2.8 weighs and has a smaller presence. Please know what you're talking about before posting. I read the news too and I use Tamron on DSLR. DPR said: "You can look at the lenses in a glass cabinet or you can handle rather more rudimentary samples, with no marking on their switches and their names stick on with labelling tape. Thankfully we were able to convince Tamron to let us photograph the more complete versions." No indication that any of them work. My comment was about DSLR lenses, which Sony doesn't have. And I do agree that the Z mount is new. I didn't expect Tamron to make Z mount lens right now. Considering all the complaints we're seeing on the Z forum, their top priority should be to show a working copy on a Z body with adapter. That is what I said in my first comment above. I for one support Tamron when people complain about old lenses because those were designed for F mount. Lenses introduced today are a different story. I want to see them work on a Z body. If you just want to argue Sony point of view, please continue. Very interesting on the E to Z adapter. Only reason I am jealous of the Zmount people is that I would love some small and excellent Zeiss glass with AF on the RF mount. And we all know that Zeiss AF lenses won’t happe for canon. I am not interested much in Sony GM lenses as I am sure canon will match or exceed most of them. But so far, besides the RF 35 there is no small RF primes in sight. In fact if Zeiss releases some loxia type RF lenses that would also be great. Agreed. Just in the way I like options. 35-150 brings something new to the table. Assuming they haven't been stingy with the quality this range and speed may appeal to some. It is not always zooming with your feet, but a question of sometimes being in studio up a ladder at 3 metres ( 10ft) and reframing. Zooms are great for that. 15-30g2 + 35-150 would make a really great FF travel kit. Shoot in crop if extra reach is needed...maybe add the 85 for portraits. I'm really looking forward to getting the 35-150 in my hands! Good point. I've been wondering about the purpose of the 35-150. So optically, the Tamron should being at least as good, as the well-known Sigma ART 35/1.4 - other-wise, it doesn't make much sense. And shouldn't being more expensive, too. Depending onto the mount, the Sigma ART 35/1.4 goes for as low as 730 to 830 EUR into germany, i do have a feeling, that Tamron would cost around 998 EUR here, when being released....or even more. I just bought the Sony/Zeiss 35/1.4 for €1200 - there is not much space in price for these 3rd party lenses. The Samyang AF 35/1.4 FE costs only around ~520 EUR into Germany, delivers a tad better sharpness, and with the latest Firmware Updates, lowlight Shooting became much better. Into short - the Samyang FE 35/1.4 AF is really a bargain, for what it does. It's more tack-sharp at the very edges, corner performance, than this Sony Zeiss FE 35/1.4 for real. For starters - watch the diagram, the Sony isn't that consistent. Check the various YT 1:1 comparsions. Back into 2018, the Sony Zeiss was exactly 3x the price of the Samyang/Rokinon FE 35/1.4 - laughable. The Samyang 35/2.8 FE AF and Sony FE 35/2.8 AF are also quite equal - whileas the Samyang costs a hell less. The Sony is great, but i wouldn't spent 1200 EUR for a 35/1.4 AF. In short - no, the Samyang doesn't come close to the Seiss. It's better stopped down in the edges - but everything else is worse. It looses contrast quite strong with the sun in the frame - not used to this from a modern lens. AF is good but behind the Sony. Build quality is good but not on par (as expected). And - it's not tack sharp wide open. The Sony is in a quite large area - but edges are not great. In fact my exemplar of the Seiss has a weak right side, it seems there is a shift in the focal plane (gets sharp when focusing there but then the center isn't) and can show CA (has to look closer into that). Zeiss does have more weird Bokeh Balls. Anyway, from a economical PoV, for neglible differences - 520 EUR vs 1200 EUR is a hell lot! I stand my ground - 1200 EUR for this lens, too much. I would pay this for some special C/Y Lens perhaps someday, but not this Sony Zeiss Prime. Everyone is different. :) Good Light. It's a pitty I can not post photos here - I made quite some effort to test the sharpness behaviour. In the center to at least 2/3 of the frame the Sony is sharper wide open. But not in the corners. Samyang also sharpens very well when stopped down - a solid performance. That's way worse as any Sony lens I have. The only other Samyang/Walimex lens I own (85/1.4 manual focus) es even more worse than that ... they should work on their coatings. Firmware of the Samyang is up to date. Focusing is OK, but not as snappy as with the Sony. That's what to expect and I'm fine with that - it's good enough for my use. And there is a little clicking noise during focus. Build quality ... I would put it under the 85/1.8. Focus ring doesn't feel nice at all. Lens cap is cheap and back cover is incredibly bad (got stuck on my 35/2.8 ...). But it seems sturdy. Agin - for the price fine. But many lenses are better (for way more money). Over all you get what you pay for and it's quite possible I keep it over the Zony (cause it has it's own problems and therefor they ask for a lot of money). But no way it's better as the Sony 35/1.4. IamJF, i i didn't say better, but reviews do say (haptics, build aside) it's equal to the Sony Zeiss 35/1.4. Both have different flaws - you decide what works for your style. D750 with Tamron 17-35; D810 with Tamron 35-150; D7500 with Tamron 100-400. Effective range: 17-600. Sounds like a good trinity to me. Or get a RX10 Mark IV, 24-600mm F4 Zoom Range, one Body, 1" Sensor, but excellent Quality for that Sensor Size and Lens Quality. I'd buy it, if it wouldn't being that expensive....perhaps into some years... ;) I do never exchange Lenses onto location, and have usually 2 Bodies/Setups then, and this is really a pain in the @ss, two camera Bags, and a Tripod then.....better one camera, which does it all...with a bit degraded image quality. I wouldn't ever handle 2 FF and one DX/APS-C Setup to some photo location, that is really overkill, technically. ;) And too much weight, to carry on, too. Get an RX10M4, then, because it's just awesome for travel. Add an A7 with a fast prime and you have almost every need covered. Why not a D850 instead of all those bodies? The third camera could be a D850 with a 150-600. That gives you a FF reach of 17-600, plus the D850 in DX mode would have a "reach" of 900. I believe that the D850 files in DX are almost the same size (dimensions) as those of the D7500. That is, however, a heavier walk-around combo. If used the D850, and kept it in DX mode, than the 100-400 is a 150-600 lens. That combo would be heavier than a D7500 with a 100-400, but not by a lot. Owning three D850s would be expensive! My name ain't Gates. Well you'd only need one D850 which makes the kit only lighter. Kharan: A7 & Samyang FE 35/2.8 AF here. Only native lens, when not using adapted lenses. ;) And the RX10 IV is too expensive, for my taste (yet). I bought my RX10M4 lightly used for a little over 1,000 USD, and feel like it was worth every penny, but then again I primarily shoot birds and wildlife with it, and so really make use of the improved AF. I like to go with 3 cameras. One with the wide angle (say Tamron 17-35, which is reasonably light); the new Tamron 35-150 would be a decent 2nd lens for the 2nd camera. The 3rd lens, say the Tamron 100-400 on the 3rd body. Then you don't ever need to change lenses in the field. Depending on what I am doing, would only walk-around with the first two. If plan to shoot long range targets, sports, wildlife or BIF, then the third camera and lens are needed. While there are plenty of cameras with built-in 600 (or more) reach, they have smaller sensors. I prefer at least APS-C.
As long as Tamron employs a bunch of lazy software engineers, incapable of getting the Nikon versions of certain lenses to work with mirrorless bodies within 5 months, I don't see myself throwing more money at them. My Tamrons dont work well with Canons live view AF either. But since i use the OVF it doesnt bother me. Most Tamrons got firmware updates for Canon already, the 100-400 can cope with Canon mirrorless since two weeks. If you don't have the tap-in console, you can send the lens to Tamron service. They'll update it for you and it's worth the effort. The 150-600 was a lot quicker focusing afterwards. Hmmmmmm, 35-150? An odd lens. Zoom lenses that started at 35 were common when zoom lenses were introduced many years ago, because they could not make them wider. But 2019? Might be a kind of portrait lens. You seldom use wider than 35 mm and narrower than 150 mm on people. Starting at 35 mm might result in a lens with much better IQ? Maybe suitable for people who have a 16-35 (or 15-30, 17-35, 17-28, etc) and want to keep a two-lens combo for travel? Tamron 15-30mm + 35-150mm or 24-70mm + 100-400mm. This is my travel kit for Spain + Formula 1 race this year. Also a Tamron 85mm f1.8 I leave at home for street portraits. I don't buy third party lenses, and tend to use small primes these days, but if this were a Canon L lens, I'd likely be interested. It could be a good studio portrait lens, and I can see many amateurs enjoying it for family photos and travel if the image quality is good. Compared to a 24-105, the long end is more useful, and the absence of a distorted 24mm is fine for most people unless they are shooting weddings /other events where you may need the wider angle. 35-135 was a popular zoom range, as was 28-135 IIRC. Unless the photographer knows what they're doing, wider than 35mm usually looks rubbish as it often results in lazy composition, i.e. the exact opposite of what is needed with wide angle lenses. I think many people will also love the option of having a 150mm f4 head and shoulders portrait option on what is essentially also a standard range, keep-on-the-camera lens. I was very satisfied with range of 24-70/2.8 lens on APS-C camera in my cycling trips. If I needed to go wider, I could make a panorama quickly. This lens on FF is basically the same, but with more reach. When I shifted to FF, I sold 24-70/2.8 and purchased 24-105/4, because I needed these 100 mm. I see the 35-150mm as stated in the article - a one stop shop portrait lens. It would be a great versatile studio or location lens where you are shooting people of varying sized small groups, full body all the way to headshots. No lens changes for a quick workflow. Great for high volume or corporate work. Also would be a decent video interview lens.